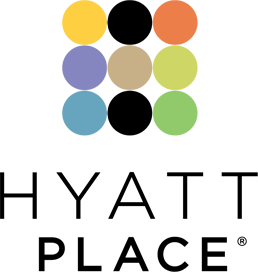 Stay in your choice of 127 hotel rooms near The Arboretum and steps from attractions in Northwest Austin. 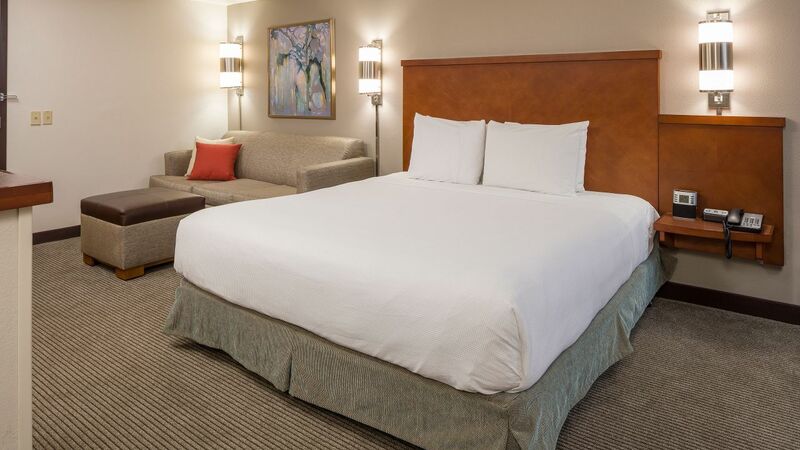 Each room offers quiet comforts amid the bustle of North Austin, with spacious high-floor rooms offering additional views of the Austin / Arboretum district. 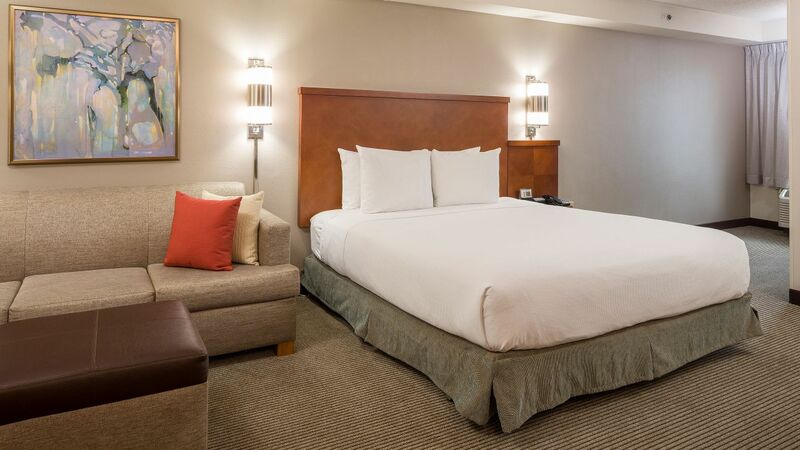 Each room is outfitted with a Cozy Corner sofa-sleeper in a separate area, a deluxe bath with granite countertops, and for World of Hyatt Members includes Free Gallery Kitchen Breakfast each day of your stay at Hyatt Place Austin / Arboretum. 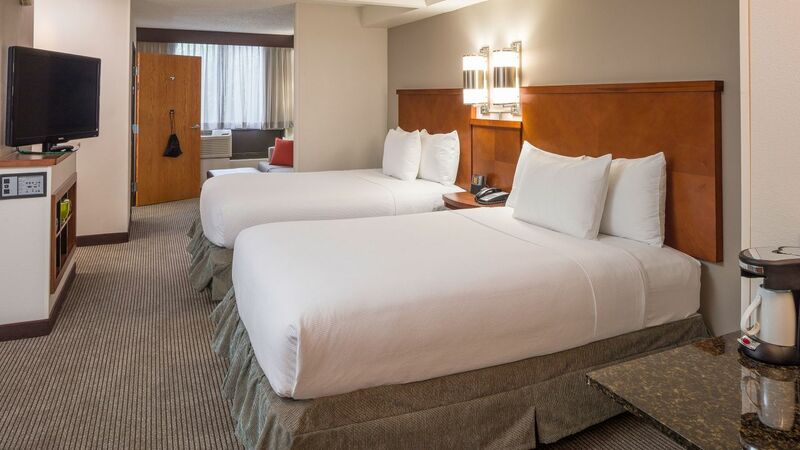 Enjoy the comforts of this 356-square-foot accessible room with a king bed and ADA-compliant bath with deluxe granite accents. Stay productive on the oversized workstation with Hyatt Plug Panel™ media center to keep connected. Take comfort in this 356-square-foot room featuring accessibility enhancements including a roll-in shower and lowered king bed. Relax on the Cozy Corner with sofa-sleeper and enjoy a granite-accented ADA-compliant bath. 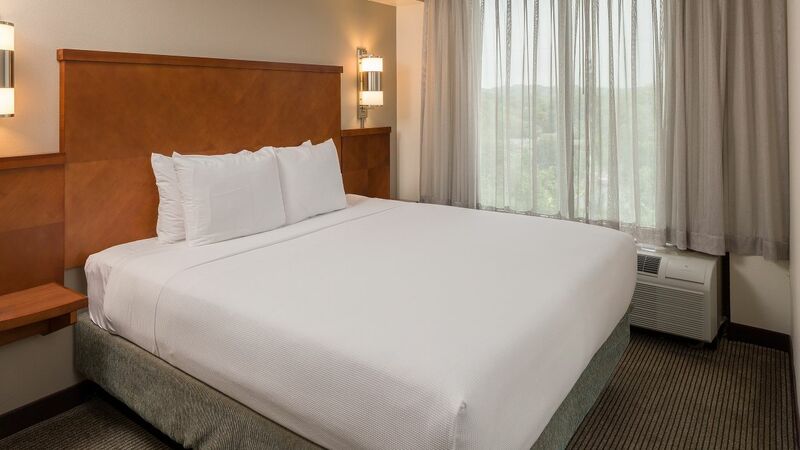 Treat yourself to quiet comfort and views of North Austin from this high-floor room featuring 356-square-feet and a plush king bed. Relax on the Cozy Corner sofa-sleeper or take care of business on the oversized workstation. Look out to quiet and comforting views of Northwest Austin from this 478-square-foot room located on a high floor. Stretch out on one of two double beds or Cozy Corner sofa-sleeper in an open layout, with a spacious workstation. Spread out in this 478-square-foot room with two double beds and a Cozy Corner sofa-sleeper. Stay refreshed in the deluxe granite-accented bath and productive on oversized desks with Hyatt Plug Panel™ connectivity. 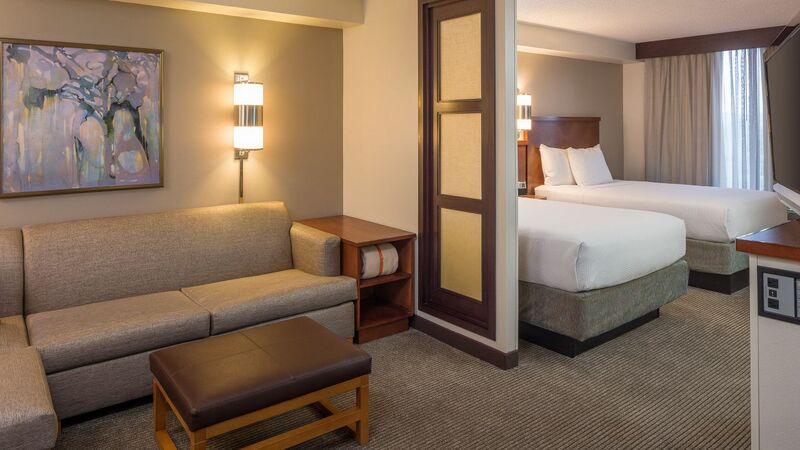 Rest comfortably in this 356-square-foot room featuring a king bed and Cozy Corner with sofa-sleeper. Take advantage of a generously sized work desk with Hyatt Plug Panel™ connectivity and a granite countertop bath.